Pan American Silver is buying Minefinders for $1.5 billion in a cash and stock deal. Markets reacted negatively to the news with Pan American today losing 8.67% of its value and falling to $22.85 a share in morning trading. Minefinders was up 25% to $14.37 a share. Pan American says it is paying Minefinders' shareholders a 36% premium above the Jan. 20 closing price. The new entity will have a combined market capitalization of $4 billion with eight operating mines in the Americas. Commeting on the deal, the Geoff Burns, President and CEO of Pan American, said the deal will help advance Minefinders' Dolores Mine. "Silver production from Minefinders' Dolores mine has increased almost 200% over the last year and we expect to see further increases into the future," said Burns. "Minefinders also has significant expansion potential and exceptional exploration opportunities at Dolores and a number of other promising early stage properties. The combined company will be in an excellent position to see those assets reach their ultimate potential." 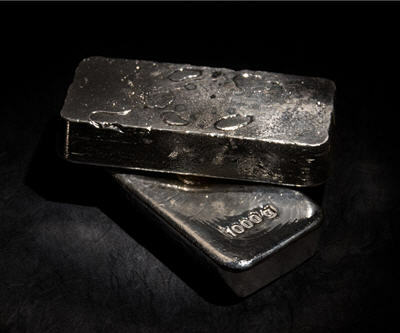 Minefinders holds gold and silver properties in Mexico and U.S.A.
"Based on expected silver production in 2011, approximately 52% of combined production will be from mines in Mexico, 21% from Peru, 15% from Argentina and 12% from Bolivia," said the company in a statement.